Barbara A. Beck joined Temmerman, Cilley & Kohlmann, LLP in 2012 after practicing as a sole practitioner at the Barbara A. Beck Law Corporation for 33 years in the areas of estate planning, trust and estate administration, probate, and estate and fiduciary tax planning. 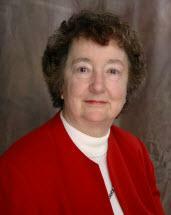 Barbara A. Beck is retired but remains affiliated with our firm. While serving as of counsel to our firm, Ms. Beck's practice included the preparation of revocable living trusts, wills, durable powers of attorney for health and finance, and irrevocable trusts, including charitable trusts, life insurance trusts, QPRTs, and GRATs. She also assisted with the preparation of limited liability companies, limited partnerships, and related business planning documents, and provided tax advice required for the design of these documents. In addition, Ms. Beck assisted successor trustees and executors with trust and estate administration. Her existing clients are now being serviced by the partners of Temmerman, Cilley & Kohlmann, LLP.